Dheeraj Dhawan will be based in Mumbai and will lead the business development and client servicing function of the division. Having spent more than a decade in the communications industry, Dheeraj comes with rich experience with both major global brands as well as medium sized businesses across categories such as FMCG, food, beverages and automobiles. 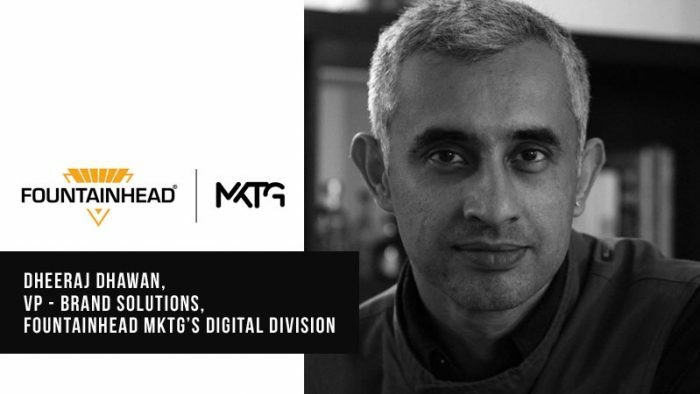 He has worked both on the brand side with IFB Home appliances, JK Tyres, Toyota and the Times Group as well as with agencies such as Publicis (Experiential Marketing & Digital), Iris Worldwide, and Hungama Digital where he was AGM – Experiential Marketing. His most recent stint was as AVP – Business Development at the UK-based augmented reality product company, Blippar. Dheeraj has worked on communication strategies for a variety of campaigns for brands such as Coke, AVIVA, Pepsi, International Olive Oil Council, Beam Inc., Sony Ericsson, Google and Nestle.